1. The Taurus sign birthstone -- the luscious green Emerald: The Emerald is both sensible and pragmatic as well as sensual and hedonistic, just like its Taurus soul counterpart. Like Venus, the ruler of all good things in life AND the Taurus individual, the Emerald encourages and supports comfort and the enjoying of life to its fullest. It is a life-affirming stone with great integrity. It is also the stone of successful love, helping its wearer find loyal and steadfast love  a must for the Taurus North Node soul. Interesting tid-bit: An Emerald is said to change color where there is unfaithfulness involved. Isnt that interesting? And for the Taurus soul, such insight would be a god-send! What am I saying, for us all! 2. Infusing the Taurus spirit with a Malachites Potential: The Malachite is a powerfully transformative stone, giving strength and endurance to those who possess it. It also encourages risk-taking and change by showing the native whats blocking his/her growth (breaking outgrown ties and outworn patterns is its unique specialty). All of the potential release just described is exactly what the Taurus sign North Node individual needs in order to begin traveling toward his/her destination. Taurus is a fixed and stubborn sign, preferring routine to stable growth. Unfortunately, stable growth is exactly whats expected of it  practical work leading to earthly growth. 3. Green Tourmaline  seeing the possibilities: The Taurean thought process is practical, slow, and deliberate. Sometimes the ideas are a tad bit rigid and dogmatic, even though on the creative side. Tourmaline, especially green Tourmaline, promotes flexibility of thought and an openness to possibilities  something that the Taurus soul could really benefit from. 4. 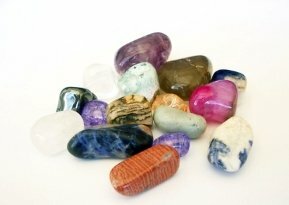 Rhodonite, Topaz, and Peridot -- clearing the emotional baggage: The Taurus sign individual could sometimes be a bit possessive. Being a creature of habit and ownership, he/she finds it difficult to let go of what is loved and cherished. Therefore, they end up holding on to things for much longer than need. The Rhodonite can help. The Rhodonite can help the Taurus soul by redirecting his/her projected emotions back to the source  him/herself. The joyful, vibrant Topaz can be of help by brightening dark emotions and inspiring Mr. or Ms. Taurus to let go gracefully without fretting too much. And last but not least, there is the infamous Peridot. The Peridot is one of the most useful stones for the Taurus mission because it neutralizes the jealousy streak inherent in the Taurus personality and makes it easier for them to admit their mistakes, enabling them to move toward a positive future more effortlessly. 5. The Taurus Soul Pathway Stone  Rutilated Quartz (aka: Angel Hair): The Taurus soul is on a mission to find inner security rather than external safety. That is exactly what the Rutilated Quartz can help it do. The stone is renowned for its ability to illuminate the spiritual pathway  an expert at unveiling the mysteries behind what holds one back from trusting the universe. And we all know, where theres truth and clarity, there is peace and acceptance the two most important things that the Taurus soul can accomplish for himself in this lifetime.